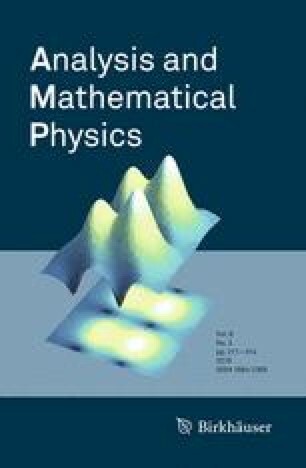 The aim of this paper is to find explicit formulae for the number of rooted hypermaps with a given number of darts on an orientable surface of genus \(g\le 3\). Such formulae were obtained earlier for \(g=0\) and \(g=1\) by Walsh and Arquès respectively. We first employ the Egorychev’s method of counting combinatorial sums to obtain a new version of the Arquès formula for genus \(g=1\). Then we apply the same approach to get new results for genus \(g=2,3\). We could do it due to recent results by Giorgetti, Walsh, and Kazarian, Zograf who derived two different, but equivalent, forms of the generating functions for the number of hypermaps of genus two and three. We would like to thank T. Walsh, A. Giorgetti, P. Zograf and M. Kazarian for their help in writing this paper. We thank G.P. Egorychev which helped us to understand his method more deeply and improve the paper. We also thank the unknown referee for his valuable comments and suggestions. The research of the first author was partially supported by the Russian Foundation for Basic Research (Grant 15-01-07906) and by the grant of the Russian Federation Government at Siberian Federal University, No. 14.Y26.31.0006. The research of the second author was partially supported by the Ministry of Education of the Slovak Republic, Grant VEGA 1/0150/14. Both authors were supported by the project “Mobility–Enhancing Research, Science and Education,” Matej Bel University (ITMS code 26110230082) under the Operational Programme of Education cofinanced by the European Social Foundation. This publication was supported by the project LO1506 of the Czech Ministry of Education, Youth and Sports.